"Haters". Let's face it they are everywhere. But what exactly is a hater? It's not a person who disagrees with you. It's not even a person who stands for different ideals or has different morals. A "hater" is a person who hates you because you are successful. They are jealous, insecure, people who thrive on other people's failures. They are the people who couldn't or wouldn't and are angry because you can and you did. 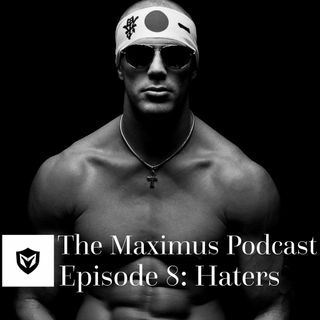 In this episode of ... See More "The Maximus Podcast", Joe Cebula and Bobby Maximus discuss why people love to hate, the effects of social media, and how to rise above the hate.